A love spell for your complexion! 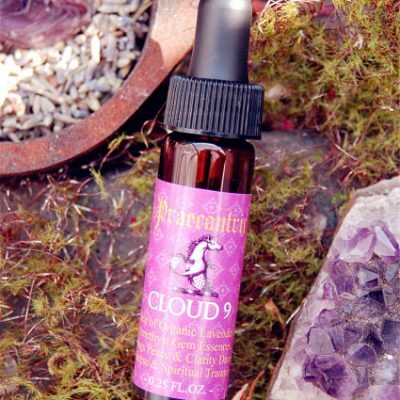 This decadent beauty spray begins with the feminine, delicate petals of wild Roses that I picked myself and organic Rose hydrosol. The power that Roses have on the skin is unparalleled to most other botanicals. Roses increase circulation to the skin which delivers more nutrition and oxygen to skin cells. They also impart a beautiful rosy glow. I then add Hibiscus extract & Hibiscus flower essence. Like Roses, Hibiscus is high in Vitamin C which is a potent collagen generator for the skin. The Hibiscus flower essence increases our ability to follow our passions and invites overall passion into our lives. With fresh, rosy skin how could anyone resist? Aloe water is finally added to seal in moisture and protect the skin from inclement weather, synthetic heat, & any other damaging or drying aspects of our modern world. 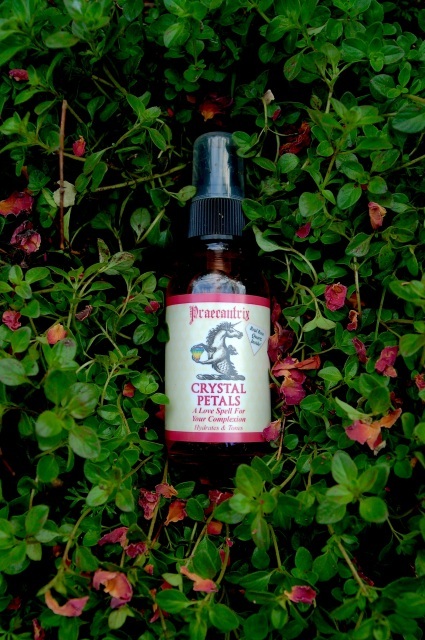 Metaphysically, this potent beauty spray doubles as a love spell. In addition to the romantic powers of Roses themselves, I’ve added rose quartz gem essence to help heal and open the heart chakra to more compassion, as well as acceptance – that is allowing yourself to accept love, instead of only offering it. Finally, a beautiful rose quartz bead is added to each bottle that activates its healing properties when shaken.